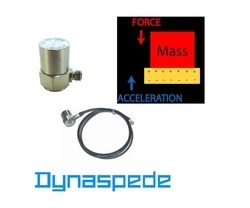 Dynaspede offers TEFT or TEFL models of tachogenerators in base-mounted or flange-mounted constructions. 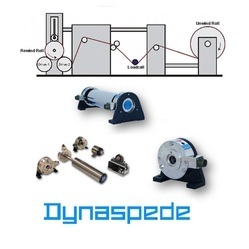 Dynaspede AC Tachogenerator is a thoroughly engineered speed transducer for industrial duty applications.These are essentially single phase AC tachogenerators in 24 or 48 pole constructions with quasi-sinusoidal output of 30/ 50 Volts AC (rms) @ 1500 rpm. Three-phase models are also offered for low speed and high speed. Measurement of shock and vibrations is a vital field of study in the development, testing and monitoring of engines, machines and systems in all strategic segments of industry, defense and aviation. A low mass, wide-band piezoelectric accelerometer forms the core of any reliable system for vibration measurements and analysis. These high-performance piezoelectric accelerometers are a result of indigenously developed NPL technology. In all stainless steel constructions with a Hex base of 18 mm, total height of 24mm and a mass of 40gms, these transducers are guaranteed for a wide range of measurements from 20 Hz to 8000 Hz for vibration, and shock below 2000g.